I realized that I have an obsession with making panini's. They are so easy to make and what's better than a crusty piece of bread smooshed and toasted with yummy fillings? Nothing that's what! OK maybe there's a few things like those tator tots. Not even half of them make it on this blog. That's because they are gone before I can even take a picture. My other half works from home on Mondays so lunch is always made fresh. He usually gets a panini. He got this one. Except this time I was able to photograph it quickly so it remained warm and toasty. He loved it. Score! This is the perfect lunch for two. 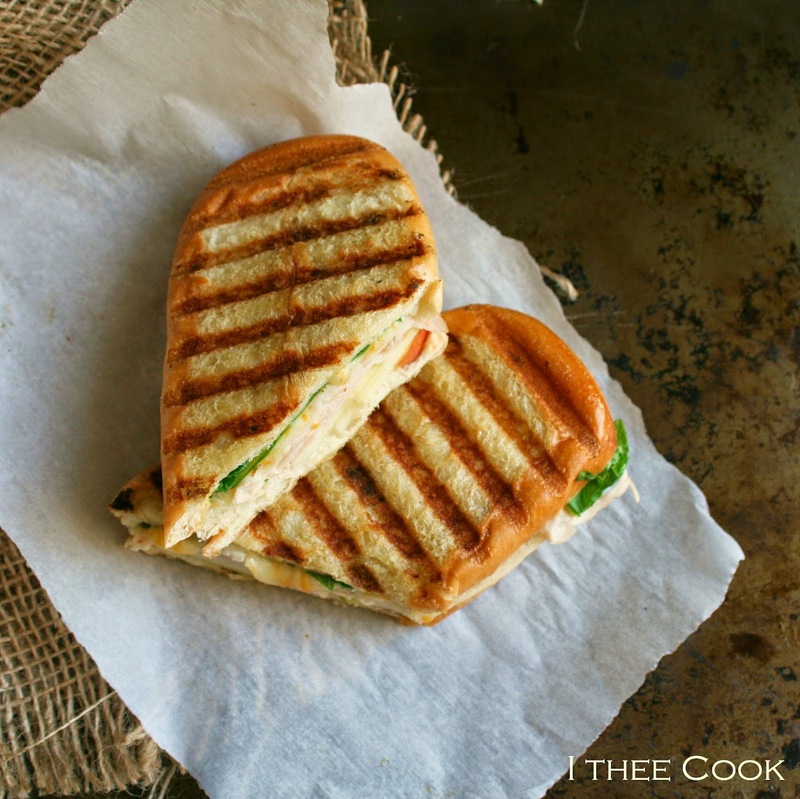 Turkey, cheddar, apple, baby kale and honey dijon all in perfect harmony. Toasted to perfection! 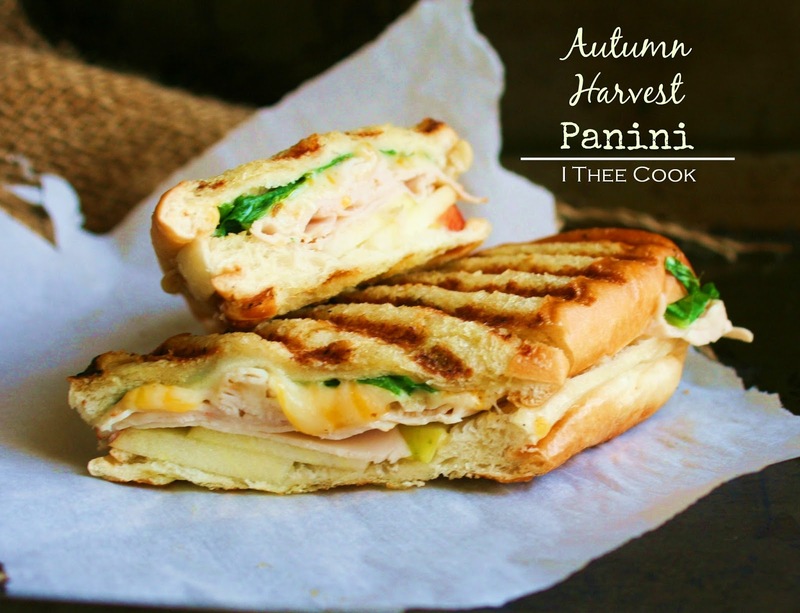 This is the perfect Autumn Harvest Panini. Preheat the panini press or grill. Spread the outer side of each slice of bread with 1 tablespoon butter. Spread the mustard evenly over two slices of bread. Layer with apple slices, cheese and turkey and kale. Top each with the remaining bread slices. I bet that is yummy! I love honeycrip apples, they are my favorite. The perfect lunch, can't wait to make this!!!! This looks delicious! I love a good panini! What a great fall sandwich and it would be a perfect one to have post Thanksgiving day too! This looks delicious! What a great lunch idea! Yum! What brand of bread did you use? It looks very tasty! I now know what I'm having for lunch! This looks so good! I saw your link on thrifty Thursday and had to click. This looks so good. I was going to say even better then tater tots, but now that I see your tots I'm not sure that's true. I'm definitely going to have to try and make both of them later. I absolutely love this! It's just screaming deliciousness! We love eating Paninis at home too, it just always has a comforting factor - but with these fillings I'm sure it would even better!! :) Pinning this so I can make it some day soon!! 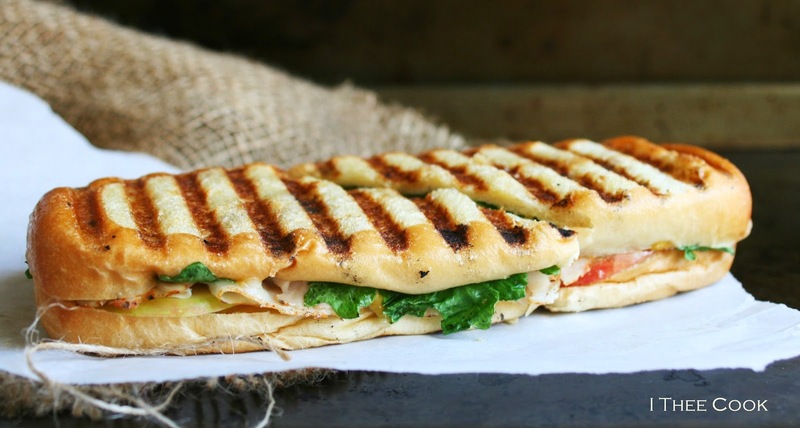 This is a wonderful Panini that I would just love. Hope you are having a great day and thanks so much for sharing your awesome post with Full Plate Thursday. Great minds think alike! Thanks so much. Have a great week! I was just thinking I need to get my panini maker out. I will be definitely be making these soon. Thanks so much for bringing them to the Weekend Potluck last week. Have a great day! Hi Rina, Love the panini - thanks for linking with us at Best of the Weekend - featuring this tomorrow night on my blog! I obvoiusly need to make more sandwiches, with better toppings...and a grill. This looks so delicious. I'm featuring you on Weekend Bites this week.